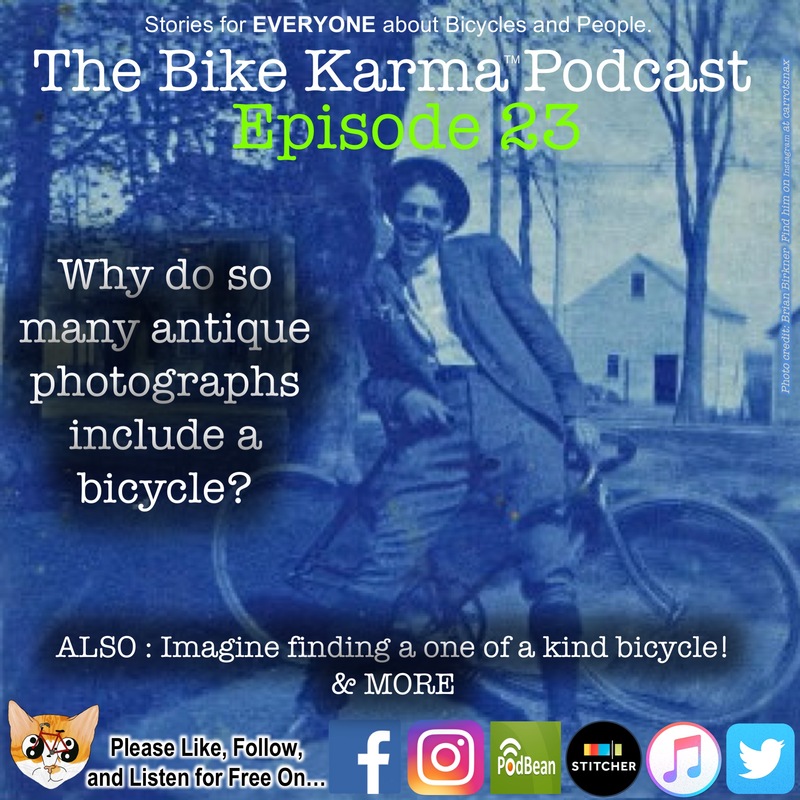 Bike Karma EP23: The Haunting Century Old Photographs of People and Their Bicycles - Winter Time Observations and Reflections from the side of the Road and Trail - A One of a Kind Bicycle Find! 1- Roadside Reflections :Can Exhaust be a comfort in the cold? 4- Why are my lines in the snow all crooked? If you like any segment or episode PLEASE follow, like, share, or even better give a positive review on iTunes, Podbean, Instagram, Tumblr, etc... and share with any bicycle loving friends or people who don't like bicycles but who need to understand why you do. I'll put links and additional materials there. The Mission of the Bike Karma Podcast is just to be a friendly point on the map for anyone who loves any type of bicycle to make connections with other bicycle enthusiasts from inside and outside of their own camps. From riding, to fixing, to collecting... from begineers to champions... from the garage workshop to the peleton... we've either covered it or are planning on it.... It is not meant to be a guidebook (you should think for yourself and safely ride within your abilities) just interesting stories. Thanks for coming along for the ride. THANKS VERY MUCH FOR LISTENING!